This article analyses the legal aspects of cryptocurrencies, as a class of crypto asset. Based on the cryptocurrency’s main characteristics, the concept of cryptocurrency will be treated. 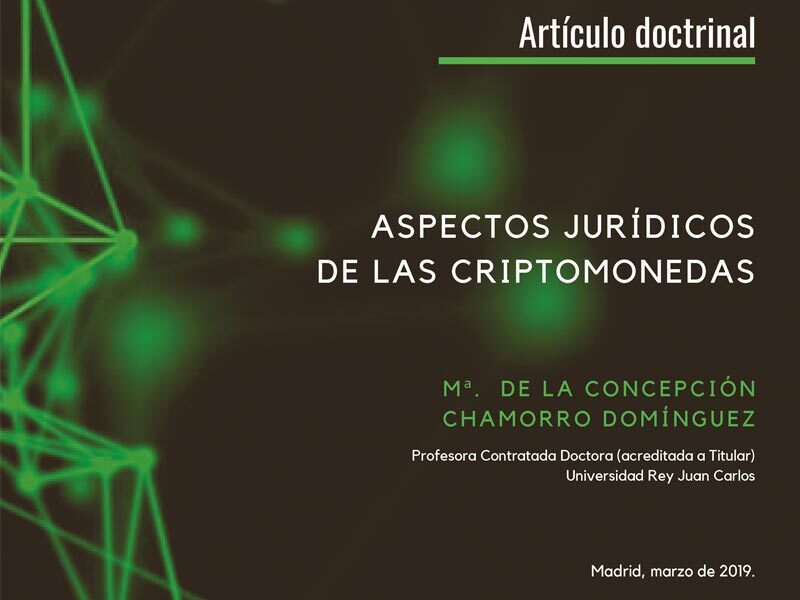 Particularly, this paper deals with the legal nature of bitcoin, as a digital asset designed to work as a medium of exchange that uses strong cryptography to secure financial transactions, control the creation of additional units, and verify the transfer of assets. Furthermore, the legislative amendments made through the Directive (EU) 2018/843 of the European Parliament and of the Council of 30 May 2018 will be also taken into consideration; specifically the inclusion within the scope of the Directive (EU) 2015/849 on the prevention of the use of the financial system for the purposes of money laundering or terrorist financing (AMLD) of providers engaged in exchange services between virtual currencies and fiat currencies and custodian wallet providers. Finally, the tax aspects of cryptocurrencies will be mentioned.